If a tenant does not pay rent in Florida, then a landlord can evict the tenant from the rental unit. 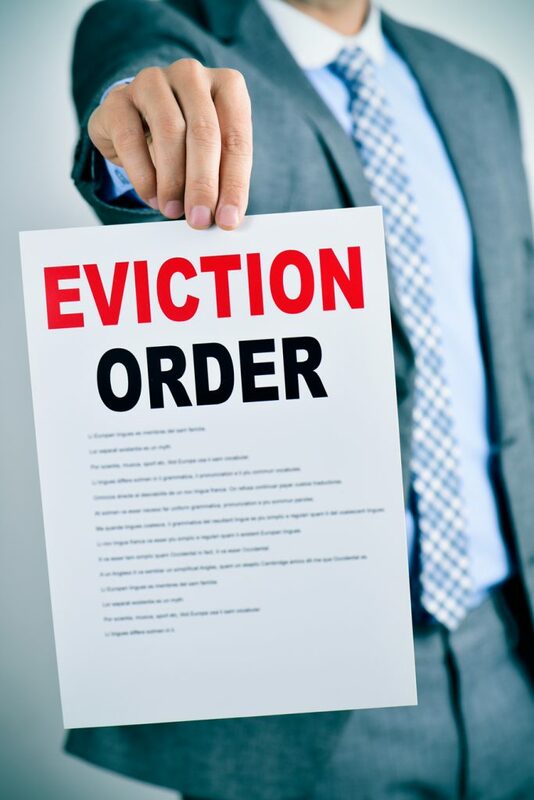 A tenant will have three days after receiving the eviction notice to either pay the rent or leave the property. The Law Offices of Holiday H. Russell, P.A. Rent is generally due on the first day of every month, including weekends and holidays, unless a different date is specified in the lease or rental agreement. Some landlords may agree in the lease or rental agreement that rent will be due on the next business day if the due date falls on a weekend or holiday. If a tenant fails to pay rent on time, then the landlord can give the tenant a three-day notice for failure to pay rent, or a notice similarly named. The tenant then has three days to pay the rent or leave the rental property. The three days begins on the date the notice is delivered to the tenant. Weekends and legal holidays are not included in this three-day time period (see Fla. Stat. Ann. § 83-56(3)). This means that if rent is due on a Thursday and the landlord gives the tenant the three-day notice for failure to pay rent the next day (Friday), then the tenant would have until the following Wednesday to either pay rent or move out of the rental unit. In Florida, eviction procedures are governed by Chapter 83 of the Florida state landlord-tenant statutes. Landlords must follow the procedures contained within these statutes when evicting a tenant for not paying rent on time or for violating a portion of the lease or rental agreement. A landlord who evicts a tenant for not paying rent in Florida must give the tenant a three-day notice to vacate for failure to pay rent, or a notice similarly named. This notice gives the tenant three days to either pay the rent or leave the rental unit. For details, see the Nolo article Eviction Notices for Nonpayment of Rent in Florida, and Florida statutes covering termination of rental agreement: Fla. Stat. Ann. § 83.56(3). If the tenant is being evicted for violating a portion of the lease agreement, such as having pets when none are allowed, then the landlord must give the tenant a seven-day notice to vacate, or a notice similarly named. In this case, the tenant then has seven days to move out of the rental units, also under Chapter 83 or Florida statutes covering terminations:in this case, Fla. Stat. Ann. § 83.56(2). For more information on how to respond to an eviction notice, see the “Help! I Just Got a 3-Day Notice!” brochure published at FloridaLawHelp.org. Does It Make Sense to Fight an Eviction? Fighting an eviction can cost a tenant time and money and is only worth it if the tenant has a solid defense. A tenant who loses an eviction case could end up paying the landlord’s court costs and attorneys’ fees and receive a negative credit rating. A tenant who needs only a few more days in the rental unit before moving out should try to reach an agreement with the landlord outside the court system.